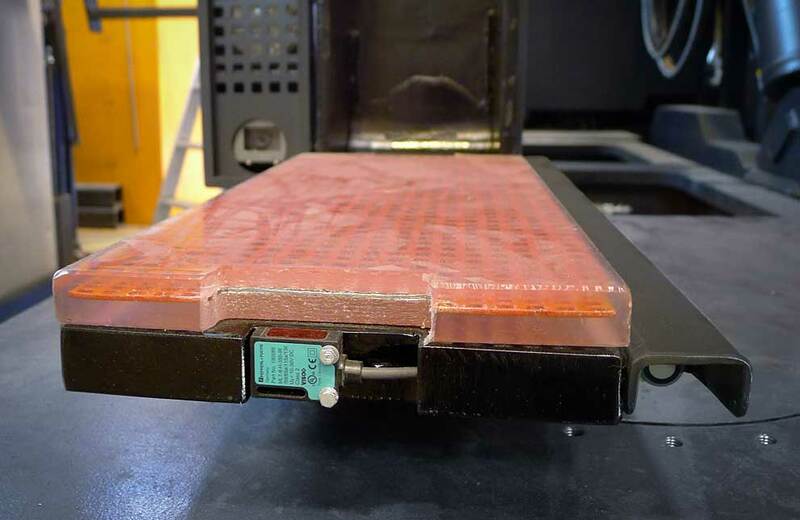 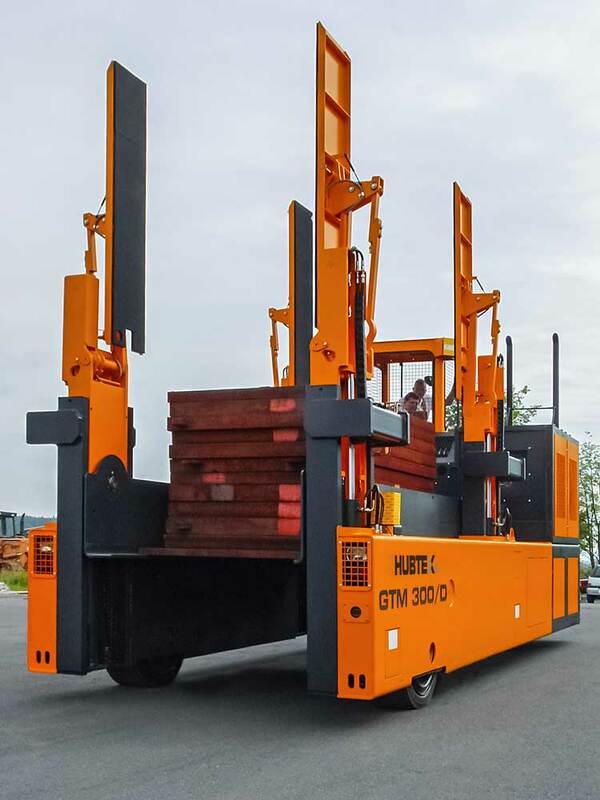 HUBTEX Glass Frame Transporters are used in float glass industry for the transport of A- and L-stillages up to 33.0 tons. 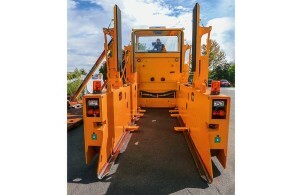 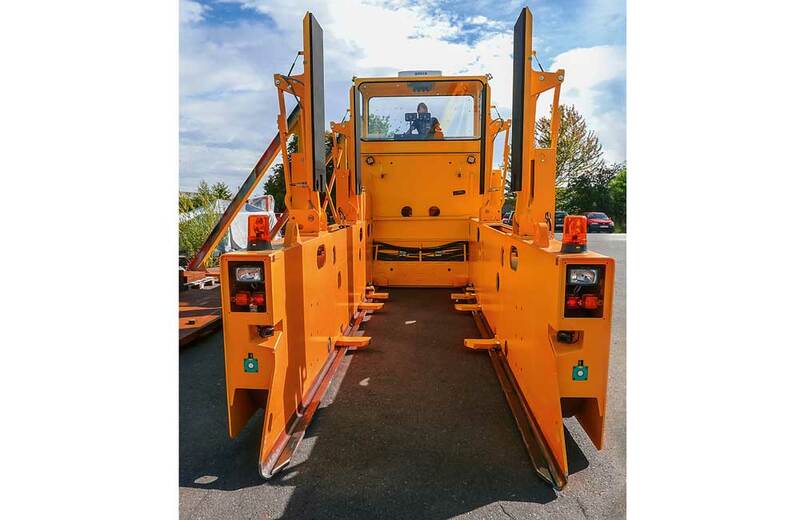 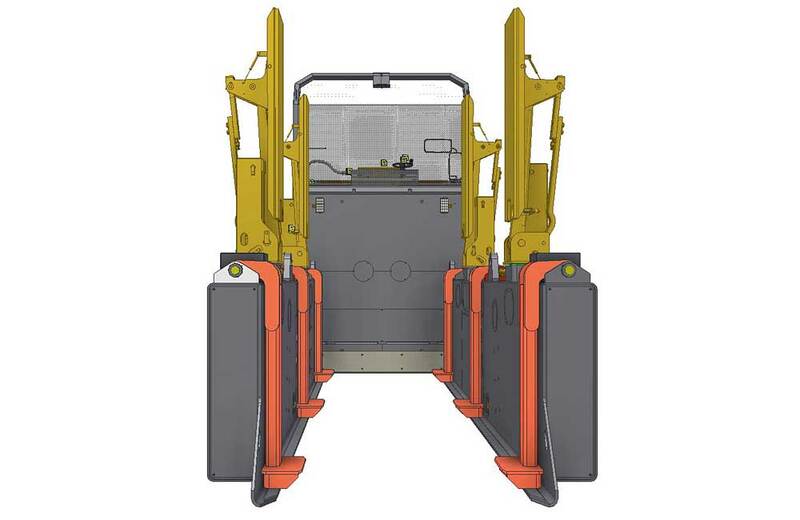 They are available as electric, diesel or gas powered trucks and can be equipped with PU tires for indoor use and/or with solid rubber tires for the indoor and outdoor applications. 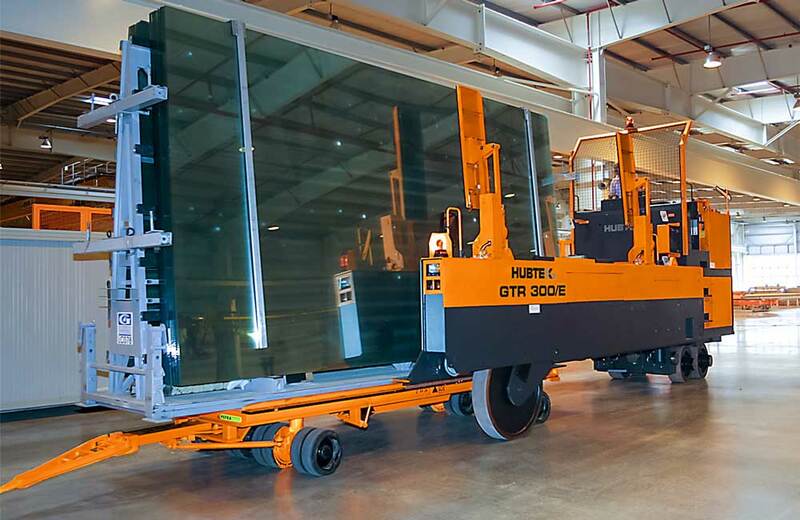 Order picking of glass stillages from floor level is made by synchronous vertical lifting of the chassis with carrying rails. 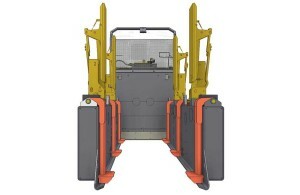 The special vertical movement guarantees a safe and precise lifting of glass stillages without displacement. 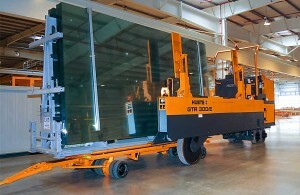 Four hydraulic clamps hold the glass sheets in place during transport. 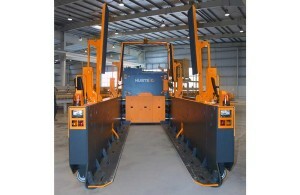 HUBTEX quality is documented by numerous certifications. 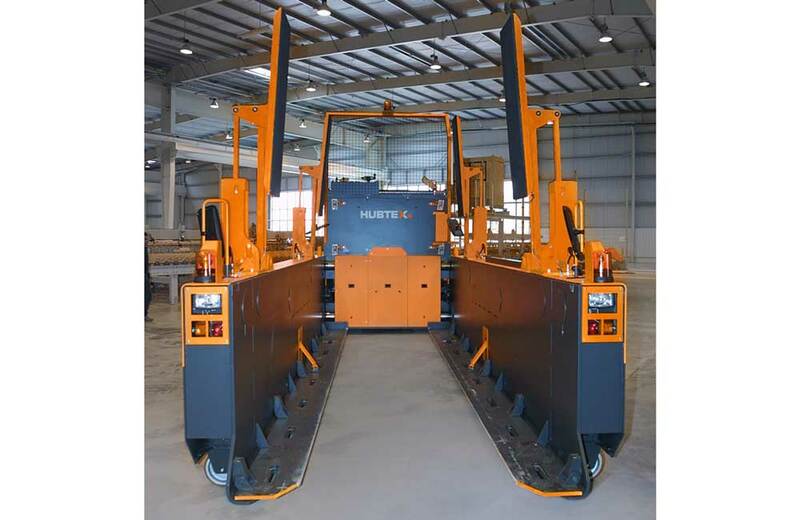 Since 1997 HUBTEX maintains a quality management system in accordance to DIN EN ISO 9001:2008. 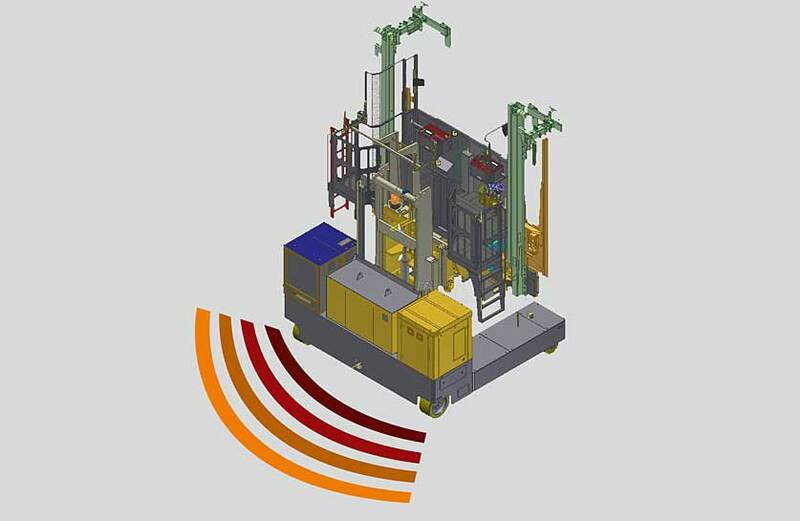 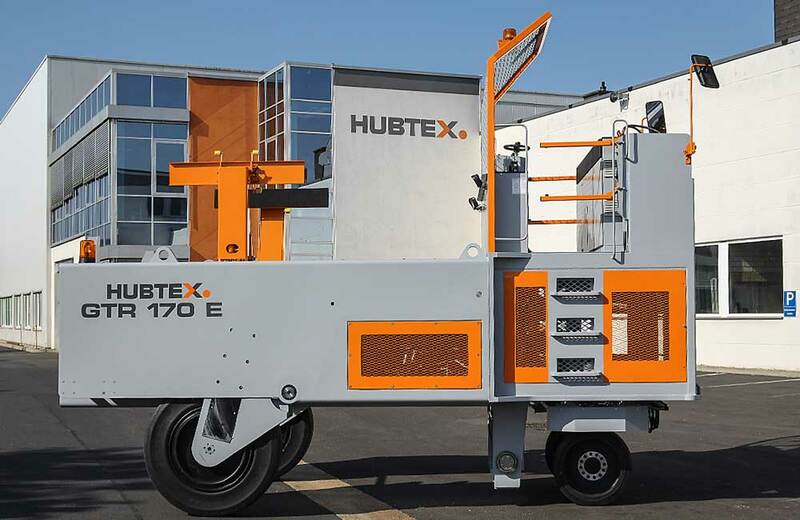 Another quality feature is the manufacturer’s qualification according to DIN 18800, which forms the basis of work for all qualified welding engineers and experts at HUBTEX. All HUBTEX machines are compliant with the latest EU regulations and are CE marked. 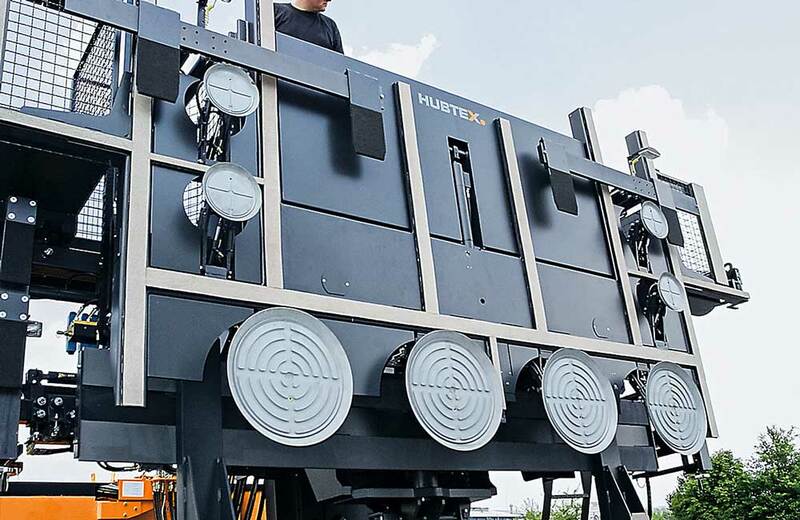 All HUBTEX trucks are tested prior to delivery. 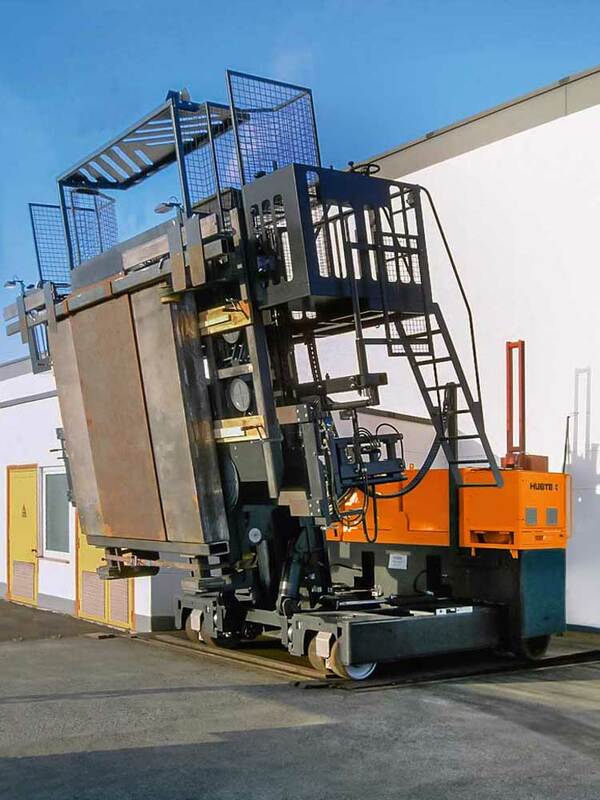 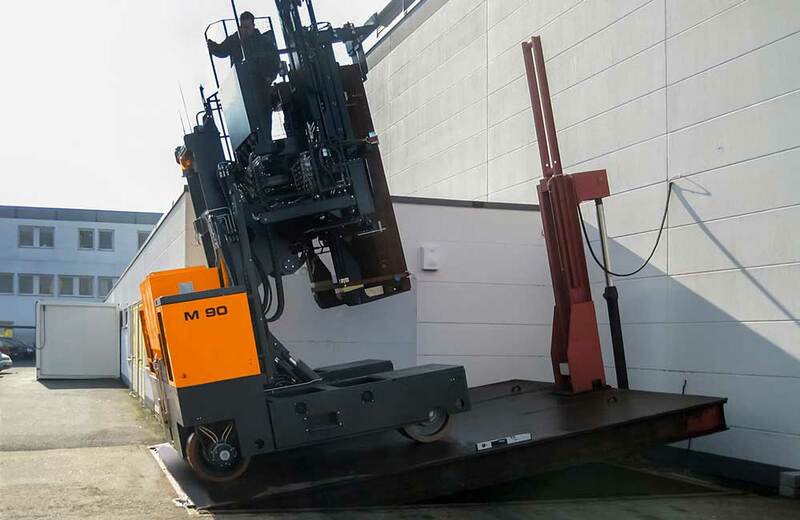 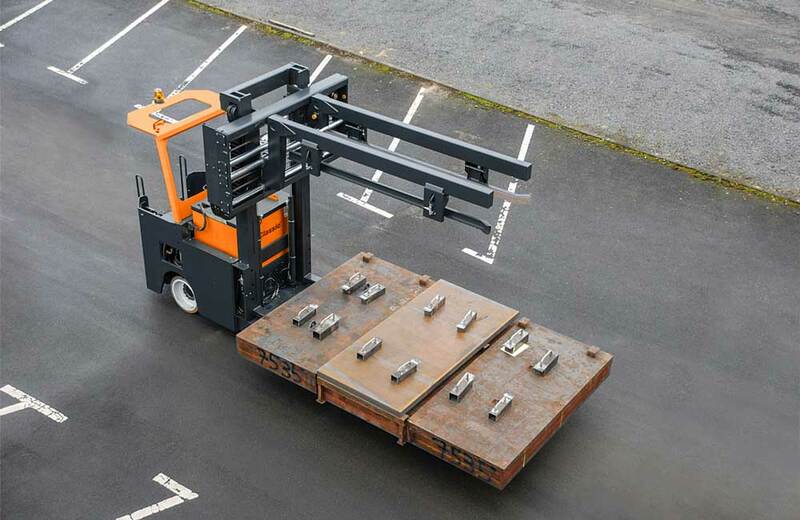 For example, all trucks have a full stability test in accordance with EN 1726-1 and an endurance test under full load.